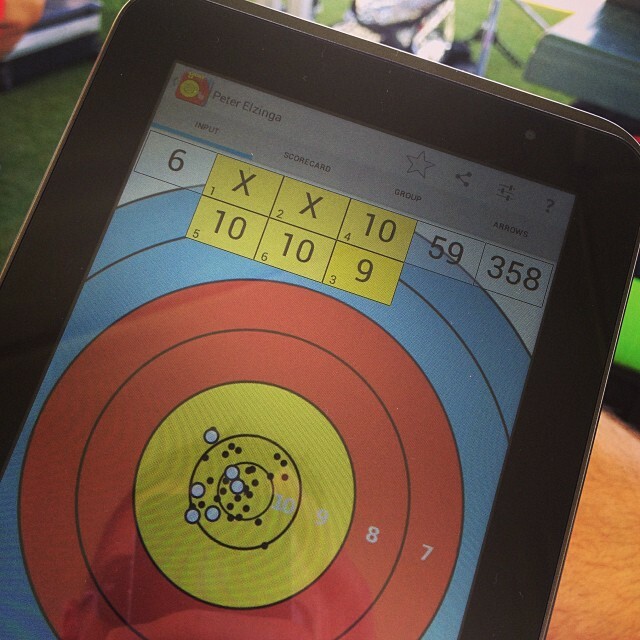 Artemis is an Archery Scoring and Analysis App for your Android™ phone or tablet. It is the only App for the serious archer and coach that will help you in improving your archery game. Record your score in a fast and intuitive way. A few simple moves and clicks with a single finger or thumb is enough to place all your arrows. More than 100 preconfigured rounds. Create custom trainings sessions. Shoot volume, score only or plot all your arrows. Distances in both metric and imperial units and different scoring and many, many target faces are supported; WorldArchery target and field, IFAA, NFAA and many more. Artemis is developed with the help of many World class archers and coaches like Mike Schloesser, Peter Elzinga, Sjef van den Berg, Wietse van Alten, Ron van der Hoff, Emiel Custers, Irina Marcovic, Inge Enthoven and many more! Artemis is actively used by Team Netherlands and Team Italy during World Cups and the World and European Championships since 2012. It is used for recording, tuning, monitoring and performance analysis in competition and training. Details like; arrow position on the target face, shooting order, arrow identification, shot execution rating or shot timing. And use all this information in analysis or in the real-time advisory functions, like the sight-advisor. Artemis will help you get extra points. Artemis is also monitoring your arrows' performance. If an arrow is getting inconsistent results and not grouping as well as the others, an alert is raised so the arrow can be checked. Archery has become a game of statistics! tunings or plotting the different groups sizes and positions of certain arrows or certain shots. For example, comparing all first shots in each end to all last shots in each end. See a trend? Are there specific arrows with inconsistent grouping compared with the rest of your arrow-set. Is there an optimum shot sequence timing? These are questions which Artemis is able to answer. Artemis supports different bows, sights, setups and arrow-sets. Create as many as you like and compare their performances. With the Coached edition you can monitor your Archers performance from a distance. With Artemis, the coach or trainer can time the shot sequence of the athlete. This information will be stored with the shot details and can later be used to analyse and perhaps find a relationship between shots that took too long and their scoring value. Does the archer change rithm during competition compared to his/her training? Share or sync the database between archer and coach, or share screenshots of a personal record on Facebook, and email the scorecards including for each end a target face with the shots position. All within a few clicks.